It’s difficult to describe Nairobi’s Mathare slum, because there is nothing to which it can be compared where you and I live. But try to imagine 500,000 people crammed into a hillside community of tens of thousands of tiny shacks clad with rusted pieces of corrugated metal. They are akin to structures where you might store old tires that you would never plan on using again. Imagine just a few water pumps and public outhouses to serve all those people. Imagine the stench of open sewage and rotting garbage permeating the air. That’s Mathare. To walk Mathare’s maze of footpaths and be among those who live on the lowest rung of Kenya’s economic ladder is to experience a bewildering range of emotions. As I did that in February with missionary Glenn Roseberry, my overriding thought was, “No one should have to live in conditions like these.” Below is a photo of a typical Mathare scene. Amazingly, Mathare’s children are happy, as happy as any other children in the world, blithely ignorant of their poverty, content to play with sticks and stones. The adults aren’t sitting around depressed either. Most of them work—at jobs inside and outside their low-income community—that pay them a few dollars per day. No one in Mathare is receiving welfare checks. 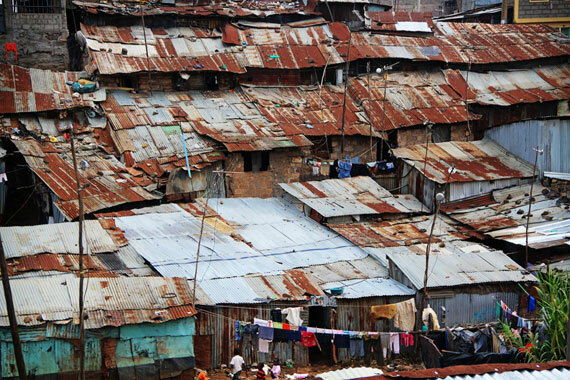 Mathare’s residents live in squalor for one reason—it is the best they can afford. No one who visits Mathare could possibly conclude that the residents deserve their plight. There are many followers of Christ who live there. I’ve been blessed to meet a few whom Heaven’s Family is helping through educational and small-business start-up grants. To my great surprise, there is a Christian elementary school in Mathare with an enrollment of about 400 children. It was started by a house church leader named Sammy Nyatota. He also runs a Christian high school with about 150 students. Both schools are, again, indescribable. As we toured them, I was relieved to learn that Sammy has been given the free use of both buildings that he uses for his schools, because I couldn’t imagine anyone charging rent for such old, dilapidated, cave-like buildings that looked more like warehouses built with corrugated metal. In the elementary school, there are no windows and no ventilation in any of its eight classrooms. Packed with children, they were suffocating. They were also dark. 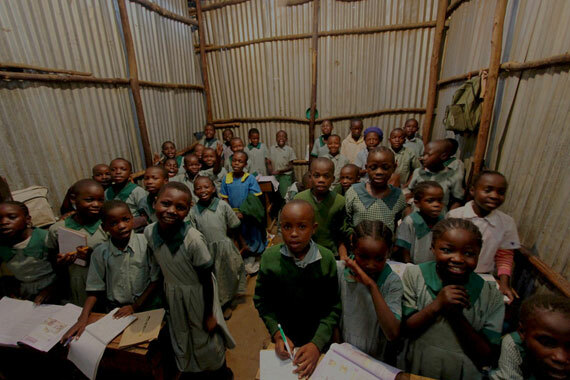 The only illumination for each classroom came from a water-filled plastic soda bottle partially suspended through a hole in the roof. Below is a photo I took of one of those classrooms so you can see what I saw. Speaking of the roof, it leaked at various points in the high school, and some of the students had sewage running under their crude desks, entering under one wall and exiting under the opposite wall. The schools’ few teachers, all believers, work for tiny wages, and some of the parents, but not all, pay a small tuition. Orphan students, of which there are over 100, attend for free. School lunches are minimal, and sometimes there is no food. The elementary school has two curriculum books for each class: one for the teacher and one for all the students (generally between 50-70 children sharing a book). Like parents everywhere around the world, Mathare parents hope for a better future for their children, and they make great sacrifices striving for those dreams. 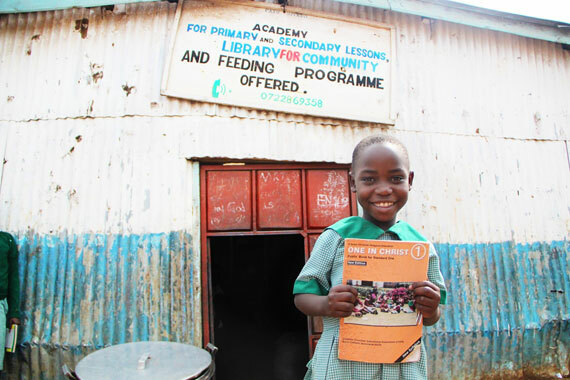 Although most of the parents know that the only way they’ll escape Mathare is through death, they hope their children can escape through the only other way out—via an education. Through our Education Fund, we’d like to help make those dreams come true by providing enough textbooks for all 550 students in both schools, textbooks that will be used year after year by future classes. And we’d like to do a few things to improve both school facilities, like adding some ventilation and patching roofs. 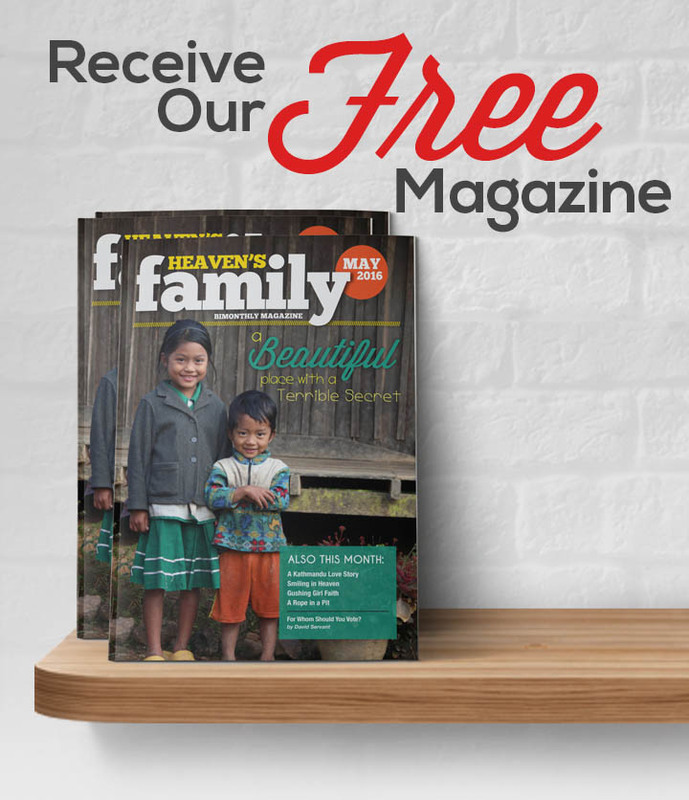 So in lieu of sending our monthly magazine, I’m sending this request to people whom I know are looking for ways to show their love for Jesus by caring for the “least of these,” people who are already laying up treasure in heaven. That’s you! Please consider investing this month in children’s lives who greatly value any educational opportunity.